Here are some photos from the first year of operations of the South Bay Railway. Plants are still very juvenile! 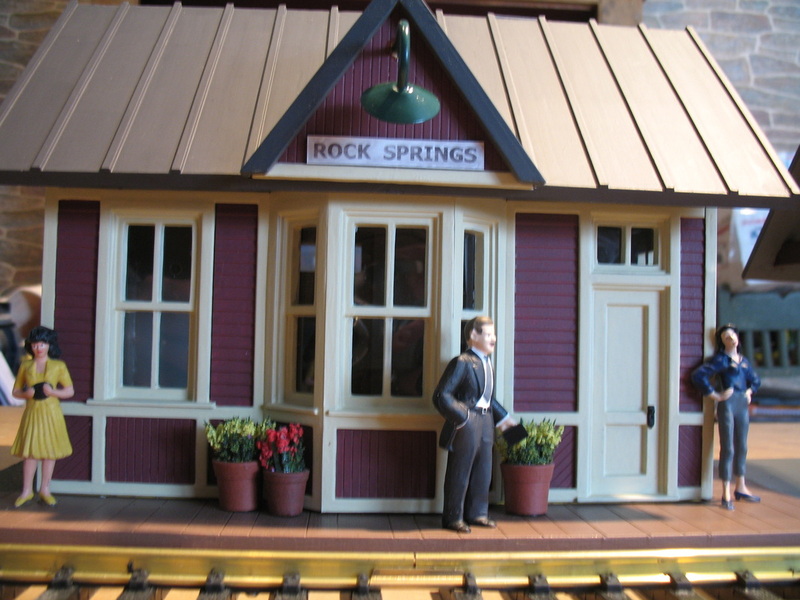 That's a replica of me on the platform. 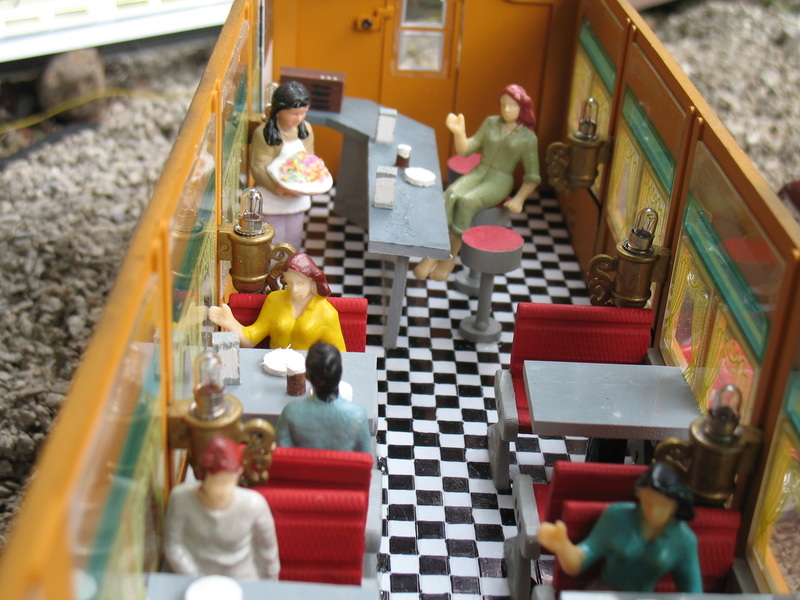 The inside of Lyn's Diner in 50's motif complete with Elvis poster.